Dr. Urshan and his weight loss doctors understand the importance of managing your weight. Whether you are trying to regain your health or recovering from an eating disorder or other chronic illness, weight management is the key to building a healthy foundation. An ideal program for weight management includes several concepts that, when used in conjunction with one another, produce a healthier, more productive lifestyle. Dr. Urshan uses state of the art technology to help reset and regulate your metabolism. With proper diet and exercise, you will be able to lose weight without the use of diet pills or medications. You will receive a personalized weight loss plan that is designed and developed only for you. Your weight loss plan from our weight loss doctors will take into consideration any health concerns or special needs you may have. If you or a loved one in South Tampa, Carrolwood, Temple Terrace or surrounding areas have issues with your weight, it is important to talk to weight loss doctors who have the experience and expertise to help you no matter what your situation. Contact our office today and schedule an appointment with Dr. Urshan and our team of medical professionals. 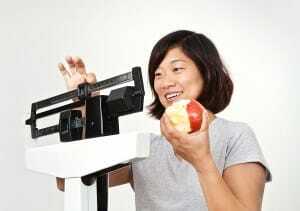 We can help you resolve your weight management issues. Our team understands the frustration of being over-weight or under-weight and not being able to achieve a happy medium. Our goal is to make sure you reach your desired weight and maintain good health** in the process.